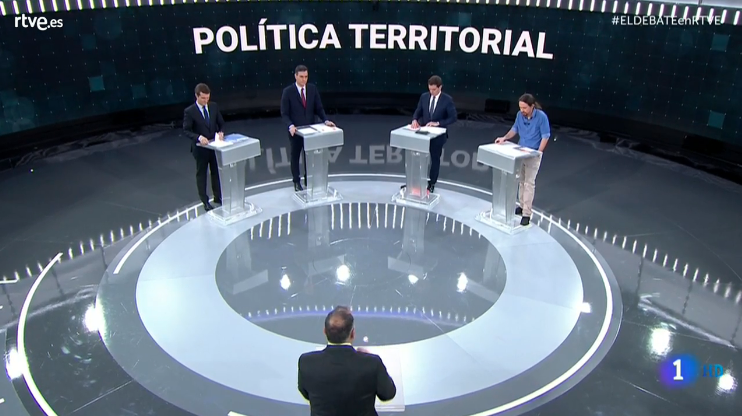 Thread: The first of two general election debates took place on Monday evening between the leaders of the PSOE, PP, Ciudadanos and Podemos. Thread: Among those testifying today are former a regional interior minister and former Catalan Police director. Thread: Testimony about the events of 2017 continues at the Supreme Court. Audio: The only question is, how much Vox is Spain going to vote for? Which story and policies do the five main parties in Spain want to sell voters at the general election? Analysis: Do any of the party leaders hold the key to solving Spaniards' problems, or is the country heading towards political stalemate like in 2016? Notes: Navy statement adds some contradiction to earlier information. What is The Spain Report?